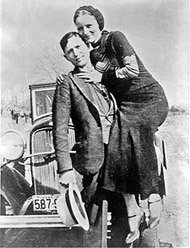 One more “heroes” of blackjack casino scams can be easily called the new Bonnie and Clyde as they worked together for beating the casino in Mississippi and win huge money. Actually, their “career” of cheaters was not as long as Bonnie and Clyde’s one, but it was enough to prove the following fact: casino dealers were also not without a sin. This story had happened at the Lighthouse Point Casino in Greenville, Mississippi in 2009. The professional and experienced casino dealer Shatawna Thomas was caught while trying to cheat her casino together with one of its players. Well, maybe this story could even finish successfully for both of these casino scams if they were not so greedy and hasty. Shatawna and her abettor Renover White, the player of the casino at her table) were able to beat the Lighthouse Point Casino out of almost $10 000 in one hour! It is a great amount of money for Mississippi. It really is! No surprise, that this situation and unbelievable luck was not stayed unnoticed by the casino security. Shatawna and Renover were arrested by the Mississippi Gaming Commission officials at the place of their crime. Renover White tried to disappear with money at first but was caught when attempted to do that. As for Shatawna Thomas, she was picked up on the casino floor. Both White and Thomas were from Greenville. Here is the great example of how to cheat on blackjack with the help of dealer collusion. Usually, dealers are too afraid of losing their jobs or being arrested and that is why they do not accept players’ bribes. The bets are too high here. A dealer can pretend to accept the proposition but not to play with you as a result. Then, you are not able to prove anything. Moreover, all casinos check their dealers by cameras during their games at tables. But it seems to be that all these moments could not stop our “Bonnie and Clyde” from doing what they’ve done.